Many of the strange things humans have believed for thousands of years can be explained with everyday biology. The spooky season is upon us. Hallowe’en combines the early Christian church’s belief that all the saints were assumed to heaven on November 1st with customs and rituals rooted in the Gaelic pagan festival Samhain. 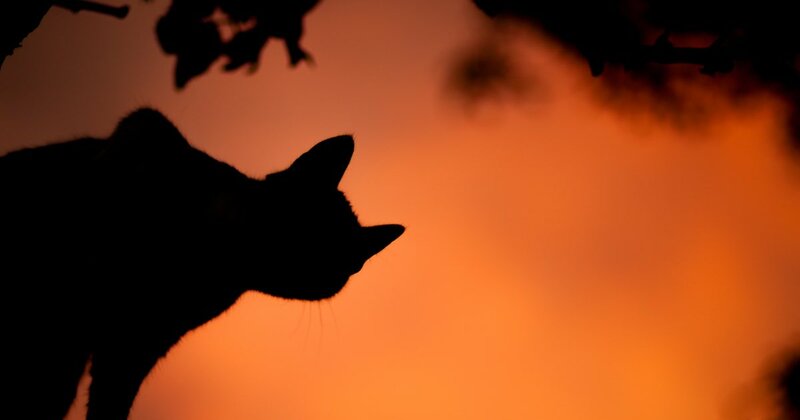 What better time to dig up some of our favorite superstitions? After all, like jack-o-lanterns and dressing up, horoscopes and numerology have been passed down through history. Michael Shermer explores such quizzical beliefs as psychics, extraterrestrials, and creationism in his work Why People Believe Weird Things. The jury may still be out on whether there’s life on Mars, but it turns out there’s a simple explanation behind alien abduction stories — lack of sleep. “White-line fever” is a sleep-disorder experienced on the road, notably by long-distance drivers. The monotony of the journey, paired with little sleep, can lead to hallucinations. Regular objects turn into beasts or aliens. The reason these are interpreted as alien abductions is the sufferer’s lack of awareness that it’s a hallucination. The experience becomes stored as an actual memory — often coming to light through hypnosis. Similarly, people who’ve had a brush with death often tell of a tunnel-like journey to the other side, but this is due to receptors in our brains activated by chemicals the body produces. These same receptors can also be triggered by drugs like LSD and ketamine. At times, users have reported out-of-body sensations. This is due to these receptors firing and a lack of oxygen in the visual cortex triggering frantic attempts in the brain to figure out what’s going on. Often, the closest match in our mental image bank for these signals are spirals or a tunnel—frequently interpreted to be a kind of journey from life to death. Many people believe there is no such thing as coincidence and this is especially the case when it comes to fortune-telling. Well, it turns out the human experience can be made a lot simpler than we’d like to think, all thanks to the art of guessing. A psychic may ask their subject vague questions at first, maybe about work or relationships, then observe physical reactions to see what gets him or her going. Further questions move from the general to the specific. A “hot reading” involves finding information about the subject beforehand in order to make the predictions more accurate — this could be as easy as trawling somebody’s public social media pages. We’re all curious about what the future holds but think carefully before you part with your hard-earned cash for a session with a palm-reader. As technology becomes increasingly integrated into our day-to-day lives, some wonder how it could change humanity in a significant way: by helping us live forever. Frank J. Tipler believes we could build a computer in the future that holds all human memory and “data,” allowing it to recreate a virtual, immortal humanity. The power source for this machine would be the energy created by the universe’s implosion. Even though he offers mathematical formulae to support his hypothesis, it is uncertain whether all prerequisites for such an event would even be met. A lot of things would need to happen in a very exact sequence. So, it looks like we’re not ready to have bionic, ageless humans walking the streets just yet — but let’s be honest, is that something we really want? While we’re the topic of the fate of our world, every major faith has its own story about how it came into being — these theories are necessarily human-centric and are usually referred to as creationism. However, creationism inherently gainsays scientific progress and discoveries. For example, the idea of every single human on earth being a descendent of the Adam and Eve figures of the Abrahamic religions can quite easily be debunked. Population growth is erratic depending on the year, and not consistent as creationists claim, thus falling flat as evidence that the Earth is just 10,000 years old (as opposed to a cool 4.6 billion). The existence of ancient artifacts, fossils, and dinosaur bones all contradict creationist theories and give rise to the strong claim that when it comes to the Earth’s massive history, humans are the new kids on the block. There’s nothing wrong with searching for meaning in life and being curious about what’s outside our normal fields of perception. However, in certain situations, to keep a level head, it’s best to make use of what distinguishes humans from other species: rationality and the scientific method. And, if this has tickled your interest about the workings of the mind, download the app and check out more titles in Blinkist’s psychology library.